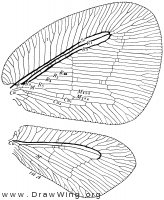 Wing of an unknown species of psychopsid. From Comstock (fig. 182) .